Bright golden amber color. Aromas of salted marcona almonds and honeysuckle with a crisp, dryish medium-to-full body and a hot, medium-length spice cake, dried plum, and charred dark chocolate biscotti finish. A smoky take on Taiwanese whisky. 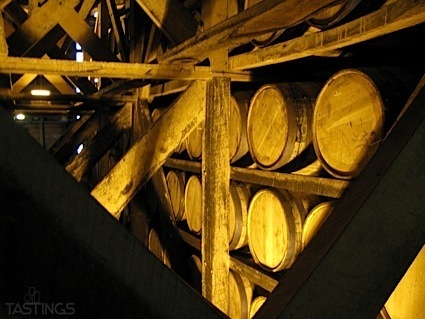 Bottom Line: A smoky take on Taiwanese whisky. 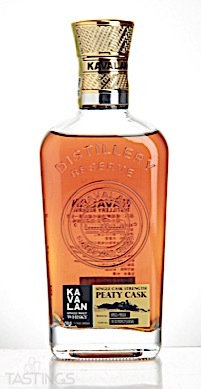 Kavalan Distillery Reserve Peaty Cask Single Cask Strength Single Malt Whisky rating was calculated by tastings.com to be 92 points out of 100 on 6/27/2018. Please note that MSRP may have changed since the date of our review.